Save time and money by pre-booking your taxi from Larnaca airport to Ayia Napa and Ayia Thekla. 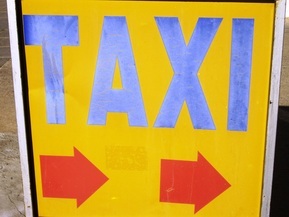 Our taxi partners have over 20 years experience as professional drivers. All of our partner taxi drivers are Government approved and are fully insured as are all of the vehicles. The taxi's, minibuses and coaches are clean, modern and air conditioned for your comfort . ​If you would like to compare coach transfers and other options please use the links below. *prices may occasionally vary depending on the details of the journey. A confirmed price will be given upon booking.